This month's eConnections features Dr. Gail Rosseau, a board-certified neurosurgeon with tremendous experience in global health and policy as a leader of several national and international organizations. Rosseau completed her medical school and neurosurgical residency training at George Washington University, clinical clerkships in London, Glasgow, and Sydney, a cranial base surgery fellowship at Val-de-Grâce Hospital in Paris, France (enfolded during residency), and a skull base and microvascular surgery fellowship at the University of Pittsburgh. Dr. Rosseau has been elected to the leadership of several national and international organizations, including the Administrative Council of the World Federation of Neurosurgical Societies (WFNS), the American Association of Neurological Surgeons (AANS) and a 6-year term on the Board of Directors of the Société de Neurochirurgie de Langue Française (SNCLF), the international French-speaking neurosurgical professional organization. She is a founding member of Women in Neurosurgery (WINS), both the U.S. national and international organizations. She serves as a Director of ThinkFirst, the international association of neurosurgeons dedicated to head and spinal cord injury prevention. She is on the Executive Board of the Foundation for International Education in Neurosurgery (FIENS) and the Advisory Board of the WFNS Foundation. 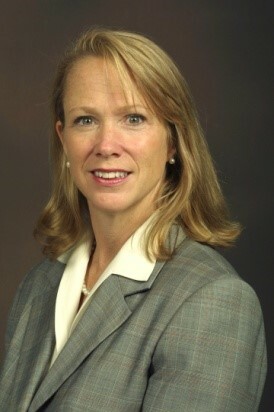 Involved in the prevention of sports concussion for over 25 years, she has served on the Board of Directors of USA Football, and was Guest Editor of the 2014 Sports Concussion Supplement in the journal Neurosurgery. She travels extensively for her work in Global Neurosurgery, chairing the neurosurgical liaison committee with the World Health Organization. Why did you decide to specialize in neurosurgery? Skull base surgery? I knew I wanted to have a career that would last all of my adult life. I was fascinated by neuroanatomy and felt confident that neurosurgery would supply interest, new discoveries, and excitement throughout my medical career. During residency I became interested in skull base surgery because I liked the fine details of anatomy, and then the most complex anatomy was neuroanatomy, and the most complex neuroanatomy was skull base anatomy, so I was seeking to understand areas of my field of increasing complexity. Everybody in AWS likes a challenge! That is why I love to be with other surgeons, especially other women surgeons. What inspired you to get more involved in leadership within neurosurgery? I was trained by Dr. Edward Laws, who is a neurosurgeon at Brigham and Women's Hospital and who was the President of all the major organizations in our specialty: Congress of Neurological Surgery (CNS), AANS, WFNS, and the American College of Surgeons. He taught me to have a global and multidisciplinary perspective. He showed all of his colleagues how important it is, as a surgeon, to know other surgeons and other specialties, and to be familiar with the state of your own subspecialty globally. I am so grateful to him for giving me his fine example. Can you speak more about being a woman in neurosurgery, and your experience as a founding member and then President of WINS? There were eight of us women at a major national neurosurgery meeting when we started WINS in 1989. I love that quotation of Madeline Albright's that emphasizes that women should help other women: "There is a special place in Hell for women who do not help other women." The mission statement of WINS, like AWS, is to educate, inspire, and encourage women neurosurgeons to realize their professional and personal goals, and to serve neurosurgery in addressing the issues inherent to training and maintaining a diverse and balanced workforce. It is just a fact of life that women were and still are rare in our specialty, so one stands out, just as someone who has a different skin color still stands out. That can present barriers, but can also present opportunities. We try to help other women, and I am thrilled that we now have the first woman president of the AANS, Shelly Timmons. You have also become a prominent leader in Global Surgery. How did that interest develop? During your career as a surgeon, you work hard every day and try to stay on top of new discoveries to be the best for your patients. This work is completely consuming. Then, one of the things that happens as a natural process of maturing is coming to the realization that you want to be as efficient as you can be with your time and efforts. We all want to make a difference. As a surgeon, you want to make more of a difference and do a better job for more and more people. There are so many people on this planet, about two-thirds of whom do not have access to what we all know how to do: surgery. As one becomes increasingly aware of this mismatch between the number of us and the number of patients who need our services, and award of the fact that the mismatch is largely geographic, there is a natural step toward increasing interest in global surgery. It is a two-fold drive toward globalism: both wanting to be aware of the discoveries that are advancing one's own field as well as providing access to one's field to those in need. Can you tell us more about your current role as Chief Liaison between the WFNS and WHO? I lead a team of several dozen global neurosurgeons. One of our primary activities is to be advocates for Global Neurosurgery at the Annual World Health Assembly (WHA). This is the business meeting of the Ministers of Health of all United Nations member states. I have a dual role in which my job is to both keep neurosurgeons aware of what is going on in all relevant aspects of WHO's activities in global health, and to bring the expertise, concerns, and issues of the world's neurosurgeons to the leadership of the WHA. The issues at this point are about Resolution 68.15, strengthening emergency and essential surgery. The first steps in that process are to establish an accurate databank and statistics on how many neurosurgeons there are and what their practice entails. Neurosurgeons are in the process of mapping global neurosurgical manpower and global neurosurgical equipment. With that information, we will be able to help the WHO with the United Nations Sustainable Development Goal related to Emergency and Essential Surgery. We are working with the Surgery Obstetrics, Trauma, and Anesthesia specialties. We as a group believe in the Lancet Commission on Global Surgery position that access to surgery is a right. We believe access to surgery is a necessary and essential component of Universal Health Care; surgery is not a luxury. You are also involved in the idea of creating a "third career" in surgery. Can you tell us more about that? There is an increasing realization that my generation, including thousands of surgeons, will likely have a healthy life, resources, and much to give to the world at the end of our working careers. We are likely to have years (one to two decades) in which we can give the leadership of departments and associations to the next generation and can help the world in a different manner. In neurosurgery, what I am hoping to do is take that altruism and help seasoned neurosurgeons prepare to give back, in an urban or rural setting, or in under-served settings in the US or abroad. One thing we are working on is training mature surgeons to broaden their horizons by considering a volunteer mission to a low resource setting. We are using the template provided by the Stanford University Humanitarian Course and a similar course offered at the American College of Surgeons Clinical Congress. This AANS Global Neurosurgical Practice Course (#027) is being offered for the first time at our 2019 Annual Meeting in San Diego in April. The course presents didactic material and skill stations designed to "reawaken the general neurosurgeon in all neurosurgeons. The faculty are all experienced in volunteer work in the developing world, and have learned how to 'do more with less.'" An example of these topics would include providing a review for someone who has been an expert spine surgeon for 25 years, reminding them about current techniques in closure of a myelomeningocele, which is a big problem in the developing world. That is my current project and I am very passionate about it! Other pearls for the audience? Advice for those interested in being involved in global leadership positions? Stay curious and learn from everyone. It is a continual process of improvement. Be open to learning from even the youngest person, the least experienced person, the smallest country. Please feel free to contact Dr. Rosseau at gailrosseaumd@gmail.com. Interview completed by Faith Robertson. Faith is a fourth-year student at Harvard Medical School and currently serves as the Chair of the Association of Women Surgeons National Medical Student Committee. She has a MSc in Global Surgery and is applying into neurosurgery.